It's about our common future! What are the Sustainability Principles? Sustainability is about achieving the present needs without compromising the ability of future generations to achieve their own needs. Overall, sustainability is based on the principles that all have rights for a better life, a life of dignity based on the fundamental human rights and on the awareness that we are part of an eco-system and a planetary equilibrium that requires our own global responsibility. In other words, sustainability is an integrative concept closely related to the values and principles of global citizenship and global-social responsibility. It is about realizing the interconnectedness of our selves with our organizational and corporate decisions and with the systems elements of our local and global societies. ​Sustainability has its foundation the principle--based preoccupation for practices that promote well-being of People, the preservations of our natural resources in this Planet, the elimination of extreme poverty for a life of prosperity for all, through the promotion of peace based on human rights, justice and rule of law, and through the partnership we need to have across nations, sectors and communities. 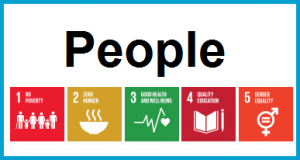 P1 People: We are determined to end poverty and hunger, in all their forms and dimensions, and to ensure that all human beings can fulfill their potential in dignity and equality and in a healthy environment. 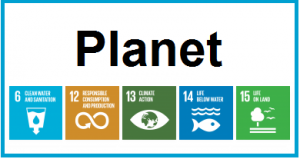 P2 Planet: We are determined to protect the planet from degradation, including through sustainable consumption and production, sustainably managing its natural resources and taking urgent action on climate change, so that it can support the needs of the present and future generations. P3 Prosperity: We are determined to ensure that all human beings can enjoy prosperous and fulfilling lives and that economic, social and technological progress occurs in harmony with nature. 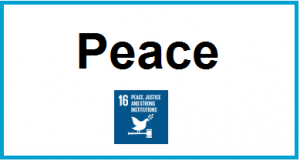 P4 Peace: We are determined to foster peaceful, just and inclusive societies which are free from fear and violence. There can be no sustainable development without peace and no peace without sustainable development. 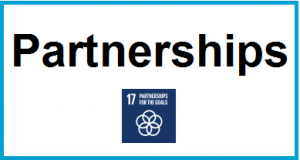 P5 Partnership: We are determined to mobilize the means required to implement this Agenda through a revitalized Global Partnership for Sustainable Development, based on a spirit of strengthened global solidarity, focussed in particular on the needs of the poorest and most vulnerable and with the participation of all countries, all stakeholders and all people. The SDG agenda is based on the principle that no one can be left behind. That there are too many people in extreme and vulnerable situations of insecurity. It is based on the notion that the value of our civilizations is judged by how we reach out to those people and situations who are in distress at the margins of our national and global affairs. 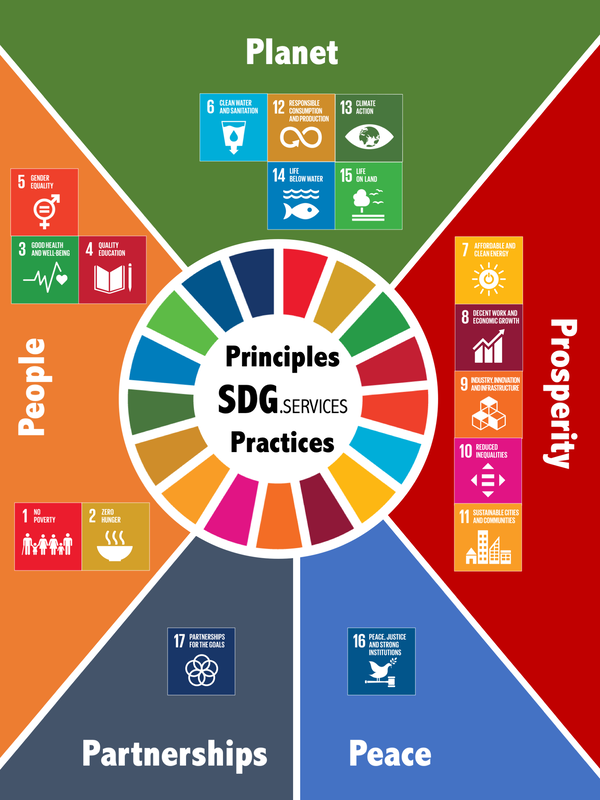 The SDG-P9 Sustainability Paradigm Assessment is a tool for self-reporting the perceived organizational leadership alignment with the 2030 Agenda of the United Nations Sustainable Development Goals (SDGs). 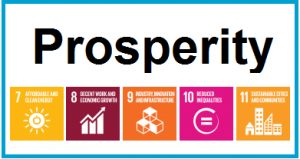 The thematic elements represented in the SDG-P9 assessment include actionable items for People, Planet, Prosperity, Peace, Partnerships and also for Policies, Principles, Practices and Protection.